I’ve started work on another one-trick-pony project :p This one’s called Comparator and it was started because I’ve been recently organizing my e-book collection and realized that I had quite a few duplicates in compressed format. One archive might be in ZIP format while the other might be in RAR format and I wanted to be able to compare them side by side. Of course, if I use WinRAR, I can simply start two different sessions and then compare them side by side but that’s a lot of mouse-clicks and I’m lazy :p So I came up with Comparator which will show the contents of two archive files side by side and since it understands a variety of archive formats (over 23 I believe …), I won’t have to use (or have installed) several different archiving programs. So far the program works fine but now I want to include the ability to compare a normal text file with an archive or to compare a full directory against an archive or for that matter, to compare two files against each other or to compare two directories against each other or any mix of the above. Incidentally, when I say compare, I don’t mean that the program actually does any comparison work at the moment – it simply displays the file name, the size and the file creation date so that user can do an eye-ball comparison of these values but again, I have plans to extend this to at least color code differences between files which match by name. The list blue, ear, ankle, purple and brown contains how many colours? 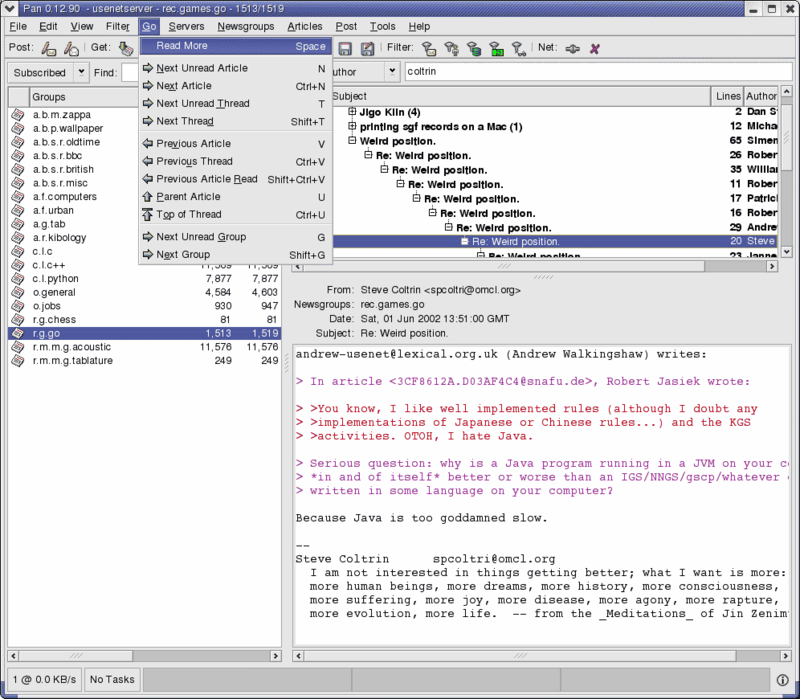 If you pursue an email client, I would encourage working on a current open-source one (Mozilla for example). Many already have most of the features you are looking for and I know Mozilla has most of your desired functions already.